June 27, 2018  The patriarch helped take his legendary family from Gary, Ind., to global stardom, though the disciplinarian streak he used to get them there proved controversial later in life. August 31, 2008  Sunday night, one of the biggest phenomena in pop music reunites for the eighth BMI Urban Awards. 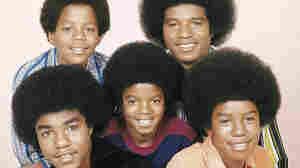 Four of the five original members of the Jackson 5 (Jackie, Tito, Marlon and Jermaine Jackson) are all scheduled to appear at the Wilshire Theatre. Michael Jackson has not yet confirmed an appearance. August 21, 2012  "If the Shoe Don't Fit" could have topped the charts like "I Want You Back" and "The Love You Save."